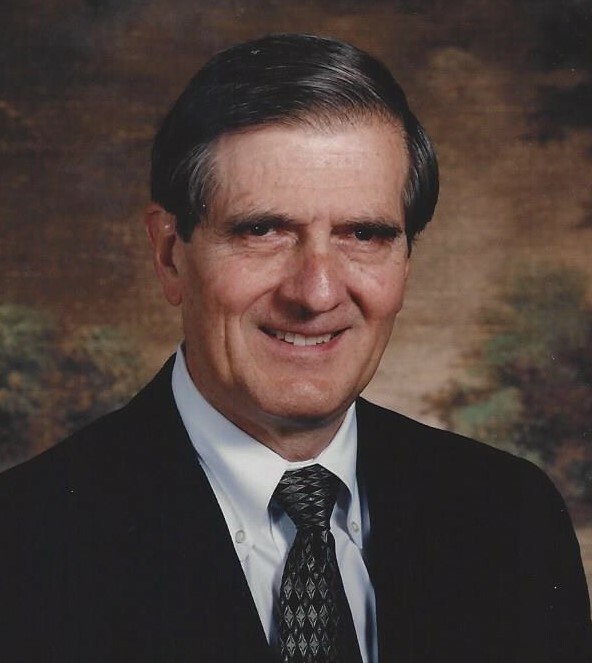 Obituary for Peter John Poletti | Drinkwine Family Mortuary, Inc.
Peter John Poletti, 89, of Denver, Colorado was born February 14, 1929 to Giovanni “Jean” Poletti and Florence Susie Monteverde Poletti. He died peacefully on Thanksgiving Day, November 22, 2018. Preceding him in death were his dearly beloved wife Betty (July 3, 2018) and his son Joey (1974). Peter was born in Manhattan and raised in Bethpage, NY. His Italian ancestors had immigrated to Switzerland and during his formative years, Peter traveled with his father to Switzerland to help his Grandfather in his woodworking business. Because he spent extended periods of time overseas, he learned to speak a bit of French and when he started elementary school his teacher asked him why he had a French accent. Peter was the proud older brother to his twin sisters Helen and Florence and his brother George. He attended elementary school in Bethpage, NY. He received several awards for scholastic achievement. He was most pleased with the county-wide “Champion Speller of Nassau County, NY” award. As a young child, he had a keen interest in model airplanes. Starting at age 13 he obtained a job as handyman in a greenhouse. He pulled weeds and cultivated flowers for a wage of 20 cents per hour. At age 16 he began working at Grumman Aircraft Engineering Corporation, starting out as an aircraft mechanic, then working as an apprentice Engineer. Peter attended Farmingdale High School. He participated in debate, chorus, student council, wrestling and track. His greatest high school successes during his Senior year were being elected Class President for the second time and receiving various academic honors at graduation. Also during his Senior year of high school and through competitive examinations and interviews; he was awarded scholarships at MIT, Columbia, Hofstra and NY State. He accepted the four-year full tuition scholarship to MIT, awarded by Grumman Aircraft Engineering Corporation. He graduated from MIT with a degree in Aeronautical Engineering in June 1950. From 1950 – 1952 he became a permanent employee at Grumman. His salary was raised from $58.40/week to 82.60/week. He was an Aeronautical Design Engineer and responsible for the layout and design of structural components for experimental military aircraft, supervising 5 draftsmen. His active duty with the Army demanded his departure from his position in Grumman in 1952. He received a post graduate MBA from George Washington University in 1954. During his senior year in college, he met his future wife Betty at one of her sorority events. In June of 1953 Peter became engaged to the love of his life, Elizabeth “Betty” Ann Lohr. The couple were married on January 16, 1954 in Walter Reed Chapel in Washington DC; they were married for 64 years and they had three children. After marriage, Peter and Betty lived in Baltimore, MD, Alamogordo, NM, and finally in 1961, settled in Littleton, CO where they built a home and raised their family. His daughters remember a home filled with great love of family. His immediate and extended family were his greatest joy in life. He filled the home with excellence, loyalty, grace, dignity, kindness, honor, devotion, wisdom, humility and humor. He was steadfastly predictable, present and above all, humble. He took his children fishing, hiking and on science expeditions. He would gather pond water and show it to his children through the microscope, along with a lesson on how you take care of such a “delicate” instrument. His children learned how to chart the stocks he was following on logarithmic paper and he bought them a study guide for the ACT test in the 70’s. He was the family’s rock when we lost our brother Joey in 1973. His grandchildren enjoyed much of the same, picking pumpkins from his patch, making paper airplanes that could fly, learning how to catch a garter snake and hold it by the tail, and sending notes in secret codes. There was always a science lesson ready when they visited. He was a lifelong intellect, learner and teacher and an extraordinary role model. In the last few years of his life said many times, “Taking care of my bride, Betty, has been the greatest honor in my life”. The family is forever grateful. Peter’s military service includes 4 years of Army ROTC at MIT. He was commissioned as Second Lieutenant in 1950 and called to active duty in 1952 where he was assigned as Project Engineer in R&D. He was promoted to First Lieutenant in 1952 and released from duty in 1954. During his active duty with the Army, he was assigned as a Project Engineer, R&D with the Army Security Agency. The nature of his duties were classified and to this day have not been known in detail. He did enjoy talking about his role in cryptology (code breaking) and analysis of technical airplane components and capabilities. After his active duty was completed with the Army in 1954, he began a career with Glenn L. Martin CO (Martin Marietta) as a project Staff Engineer for Aeronautical design, in Baltimore, Maryland. In 1961 Peter was transferred to the new headquarters for Martin Marietta in Waterton Canyon, Littleton, CO. In 1965 he took his analytical skills and business management acumen, left his engineering career behind and joined the investment firm of Dean Witter. He spent the next 40+years as a stock broker, financial analyst and investment advisor, remaining with the same company that is now Morgan Stanley. He is survived and forever missed by daughters Linda Poletti (J) Madden, Lisa (Matt) Emerson, and grandchildren: Joseph and Grace Madden, Genevieve and Alexandra Emerson. Peter is also survived by his sisters Helen Mellyn, Florence Chavez and brother George Poletti (Ann) and their families. He will be buried next to his beloved wife Betty and son Joey in Bear Canon Cemetery, Sedalia, Colorado. A funeral service is planned for 10:30 A.M., Friday, December 21, 2018 at Drinkwine Family Mortuary with a reception to follow. Interment will take place at Bear Canon Cemetery in Sedalia, Colorado. In lieu of flowers, please make a donation to a charity of your choosing.